This light plate carrier is designed for Class 4 ballistic plates and offers a quick-release system with ROC buckles. That means it’s easy to open and jettison during everyday military operations in the field. Laser-cut MOLLE design ensures a smooth, clean look. 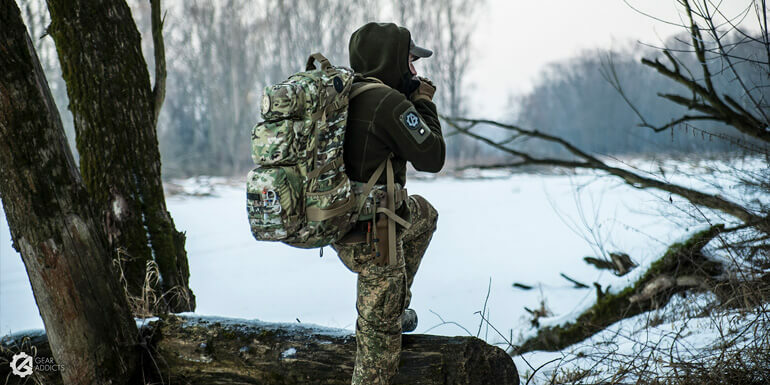 The Plate Carrier QR LC comes with removable side features and is compatible with other TT removable panels: Laser-cut MOLLE on the front and sides allow customizable expansion. 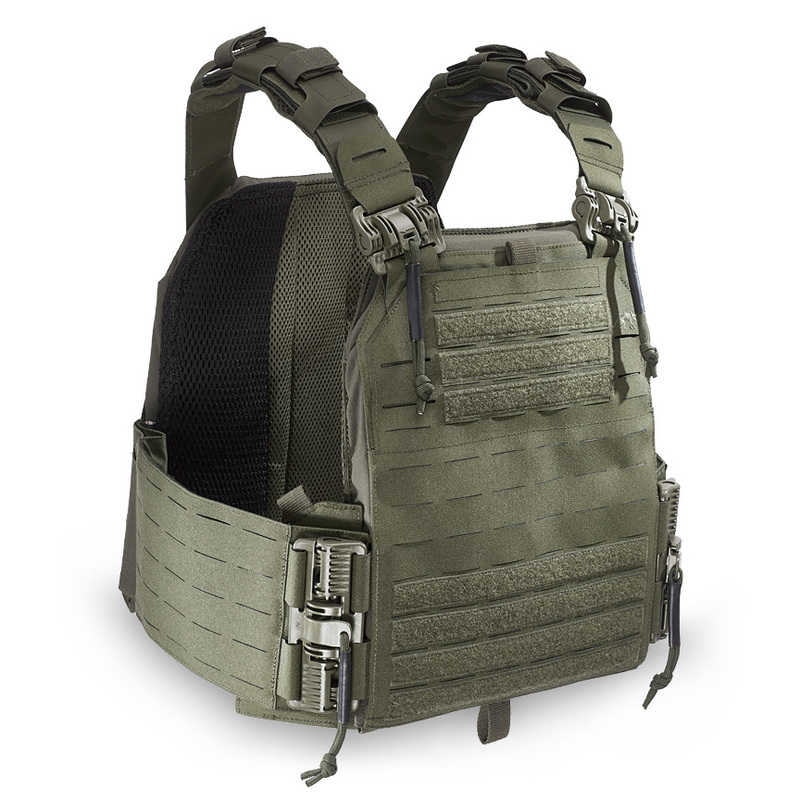 The plate carrier can also be combined with the TT Chest Rig LP, the TT Assault Pack 12 and the TT Modular Combi Rig. 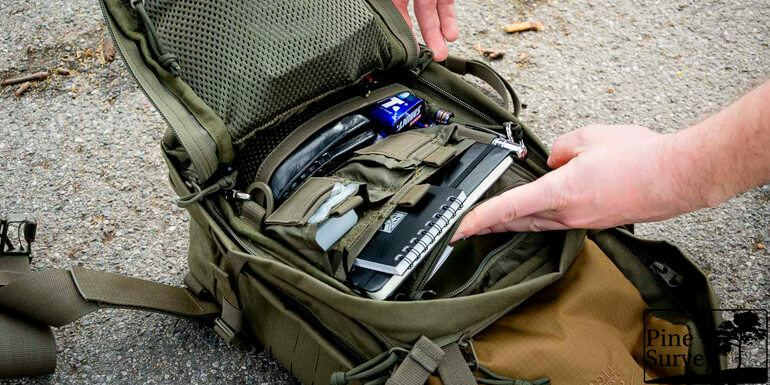 The slatted side panels of the plate carrier are elastic and offer superb ventilation. You can adjust their length. Both inside panels feature a removable pocket for radio gear or additional magazines. The fastening and adjustment option is located under the back panel cover. The ends of the side panels are guided through a hook-and-loop channel and can be adjusted for length using the Bungee cord. The robust MOLLE side panels offer you the option of attaching TT Side Plate Pouches for Class 4 plates. The panels have hook-and-loop fleece on the inside for attaching additional magazine pockets. The flat pocket is ideal for ID and documents while the elastic loops on the inside are great for attaching additional magazines. The wide hook-and-loop fleece strips on the front allow you to attach the TT Carrier Panel or the TT Carrier Mag Panel M4.